The city has plans to tax sales and cultivation of medical marijuana at 15%, and if the state passes recreational pot, they plan to tax that too. In Los Angeles, the homeless population has risen 12% in the past 2 years alone. In an effort to help the people and curb this crisis, the city has approved a $1.78 billion dollar plan to build more housing and provide more support services for residents over the next decade. While the intent is a noble one, what they haven’t decided on is how they are going to pay for it all. One idea on the table is money from legal marijuana. The city has plans to tax sales and cultivation of medical marijuana at 15%, and if the state passes recreational pot, they plan to tax that too. I’m sure no one would oppose such a noble use of pot tax dollars, but it will still be just a part of the solution. The city estimates that the tax would generate about $16.7 million a year. If recreational law is passed, it could be double that later on down the road, in theory. There are 8 other funding ideas. The city plans to try and pass as many as possible. Some require voter approval, others only the approval of the Council and the Mayor. All of the ideas will be new sources of revenue for the city, as Chief Administrative Officer Miguel Santana told council members that new revenue is the only way to afford the housing. “Even as our economy improves, we do not anticipate to have an additional $1.78 billion over the next 10 years to dedicate for this purpose,” Santana said. A new “housing linkage” fee that developers would make on new projects, which would go toward below-the-market-rate housing. Est. revenue= $??? A legal requirement on developers to build a certain amount of lower-income housing or pay a fee instead. Est. revenue= $??? Real estate document fees. Est. revenue= $30million/year. Increase on real estate sales tax from $2.25 to $4.50 per $500 of the sales price. Est. revenue= $167 million/year. Increase City sales tax by .25%. Est. revenue= $122million/year. Billboard tax: A 12% billboard tax would create an Est. revenue= $24million/year, but that would go up or down according to sales of ad space. The biggest money maker is a proposed $1 billion dollar bond issue, requiring 2/3 of voters approval to pass. The 30-year loan would be paid back by an increase in property taxes, at an estimated increase of about $51 dollars for a $328,000 home in Los Angeles. 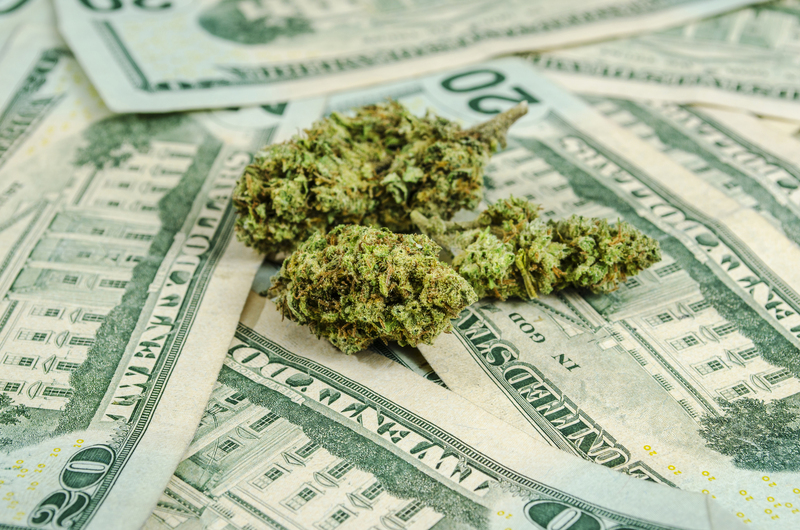 With the added revenue that marijuana tax brings in, many local and state governments struggling with budget issues such as the one in Los Angeles are eyeing legalization with the financial motivation of the greater good in mind. The old adage “A penny saved is a penny earned,” is starting to ring louder in their ears than the cries of Prohibitionist zealots who demand bigger law enforcement budgets and military grade equipment for what amounts to pulling weeds and persecution of the sick and peaceful. Do you find it ironic that it is greed that will free the cannabis plant, when it is greed that imprisoned it in the first place? Share your thoughts on social media or in the comments below.